Opening its doors in London’s Soho in the mid-1920s, Patisserie Valerie now brings French café culture to cities right across the UK. 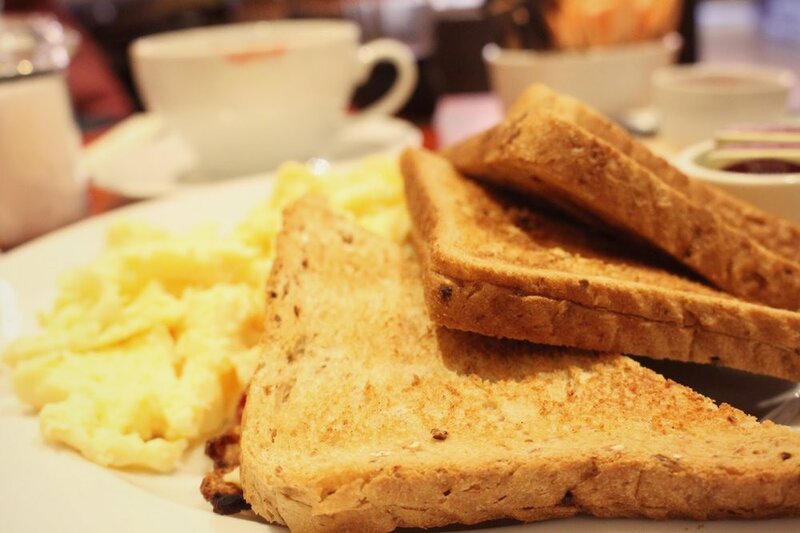 With its retro, 1950s vibe and delicious cakes, breakfasts as well as a wide selection of tea and coffee, it’s a tad surprising that I hadn’t eaten there before. birthday, seeking a tasty breakfast in beautiful surroundings – and we definitely found what we were looking for, and then some. The space is strikingly decorated in a vintage French style, with old-fashioned European posters on the wall alongside grand gold mirrors and light fixtures. A lot of the vibrant sweet treats are displayed in huge counters and on the shelves, which made it very tempting to have cake for breakfast!